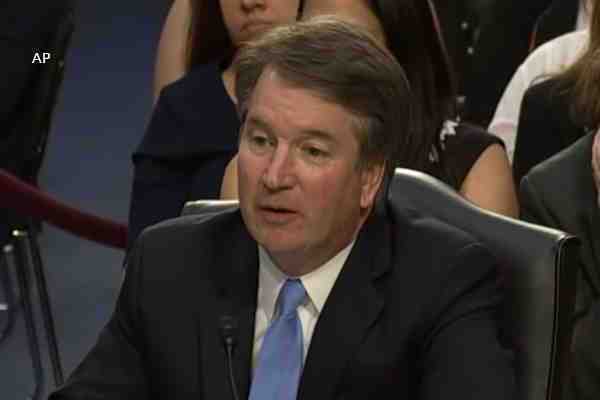 Supreme Court nominee Brett Kavanaugh on Friday refused to say whether it should be legal to fire a person because of their sexual orientation. “In my workplace, I hire people because of their talents and abilities,” Kavanaugh answered. Kavanaugh answered that he would rather not discuss the issue because it was currently being litigated. “I guess you're not willing to tell me whether you personally, morally now, think that that's right or wrong,” he added. “I'm a judge, and with the cases that you're well aware of now pending in the courts about the scope of the civil rights laws, the employment discrimination laws – of course, Congress can always make that clear,” Kavanaugh said. “That's what I want to get to the point that you won't give me a moral answer because of the pending cases?” Booker asked. The exchange came a day after Kavanaugh refused to say whether the high court's 2015 decision striking down state laws that excluded gay and lesbian couples from marriage was correctly decided. Sarah Kate Ellis, CEO of GLAAD, criticized Kavanaugh's responses to questions related to LGBT Americans.